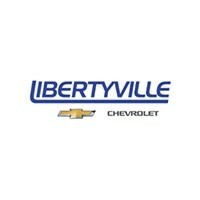 The new Chevrolet Silverado 1500 is ready for a test drive at Libertyville Chevy, near neighboring Waukegan and Gurnee. Reviewers praise the model’s V8 power, advanced safety features, and upscale cabin – and our customers wholeheartedly agree! Get to know the new Chevrolet Silverado 1500 specs in person when you get behind the wheel at our dealership, located in Libertyville. What are the Chevrolet Silverado 1500 Specs? The new Chevrolet Silverado 1500 is available in either rear-wheel drive or 4-wheel drive to maximize its capabilities on the road. Inside, you’ll find seating for between 3 to 6 passengers and technology like available Apple CarPlay, Android Auto, and 4G LTE Wi-Fi. And check out the Chevy Silverado 1500 specs under the hood! The Chevy Silverado 1500 price can’t be beat for such a capable and stylish vehicle. But if you’re looking for a heavy-duty option, then check out the Chevrolet Silverado 2500HD!